"The problem of Lyme disease knows no borders. It knows no nationalities, no races, and no political systems. 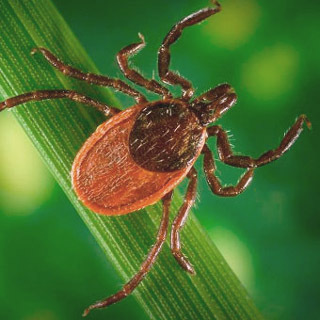 As a virulent bacterial infection, Lyme disease simply spreads, and spreads, and spreads, and if something isn’t done, the worldwide cases of Lyme disease will do nothing but continue to increase." Lyme disease, or tick-borne diseases, have been documented for millennia around the world. Yet, this new variety has been spreading at an uncanny rate. Lyme disease is not confined to the United States; it is a major epidemic worldwide. Research confirms the presence of Lyme disease in all corners of the globe. Major outbreaks have been reported in England, Sweden, Germany, and Russia, and there may be an epidemic in Africa as well. Lyme disease could also be called the "The Great Imitator" because its symptoms are often misdiagnosed as something else such as fibromyalgia, arthritis, abnormal heart conditions, attention deficit disorder (ADD), chronic fatigue syndrome, Alzheimer's disease, obsessive compulsive disorder (OCD), depression, multiple sclerosis (MS), schizophrenia, and more. The symptoms of Lyme disease include fatigue, fever, chills, headache, muscle and joint pain, swelling of the lymph nodes, nerve pain, skin rashes, back pain, mental confusion, and brain fog. If allowed to run its course, Lyme can cause arthritis, cardiac dysrhythmias, nervous system abnormalities, and other bodily or mental damage. It has been estimated that only 10% of Lyme patients have been accurately diagnosed. According to recent research, there are at least 5 subspecies of the Borrelia burgdorferi bacteria (the predominant causative agent of Lyme disease), over 100 strains in the U.S., and over 300 strains worldwide. This diversity is thought to contribute to the antigenic variability of the spirochete class of the bacteria and its ability to evade the immune system, leading to chronic infection. The primary herb for Lyme prevention and for new tick bites is astragalus. Astragalus acts as an immune enhancer, modulator, and/or stimulant, depending on what the body needs it to be. It can act as an antiviral, antibacterial, and tonic, and it also has diuretic functions in the lungs, spleen, and GI tract. It is also a heart protector. Astragalus acts to enhance immune function during early-stage Lyme disease. It works by enhancing the type 1 helper cell (Th1) immune response, producing higher levels of Th1 cells, which lessens the chance that an infection will occur, or results in milder symptoms as a result of an infection. 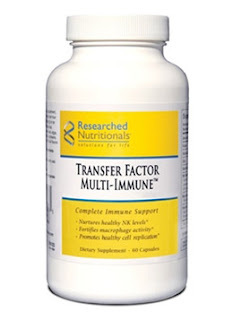 Another supplement to consider is Transfer Factor Multi-Immune™. Many Lyme doctors are prescribing this supplement to help jumpstart the immune system. The maker of the product, Research Nutritionals, is up-to-date on Lyme disease and has even geared many of its products to Lyme treatments. Research Nutritionals claims that this product works on the cellular (Th1) immunity level, as opposed to humoral (Th2) immunity, and thus modulates, as opposed to stimulates, making it supportive for chronic Lyme, unlike astragalus. If you need general support, please call or email us. If you need individualized support, we can support you to fully heal through personalized consultation. Yes, you are right. This product is so good for the Lyme treatment.